LTE Tactical messaged me about reviewing a couple of their lights. 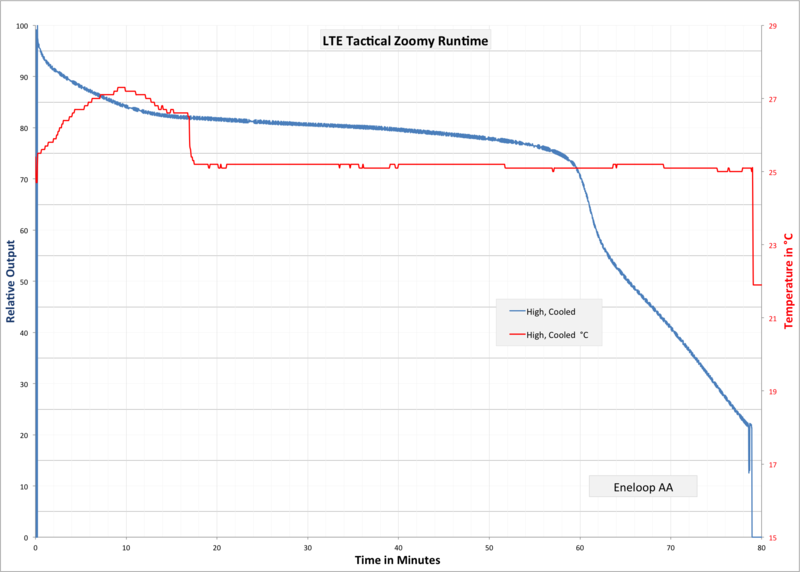 I agreed to review this zoomy because it seems like a ubiquitous style of zoomy. And you know. Why not? The build quality on these is not great, and the tint is bad (that is, blue). Technically the zoom feature works but the light is not bright and so a regular (non-zoomy) light with more modes would still be a better choice. 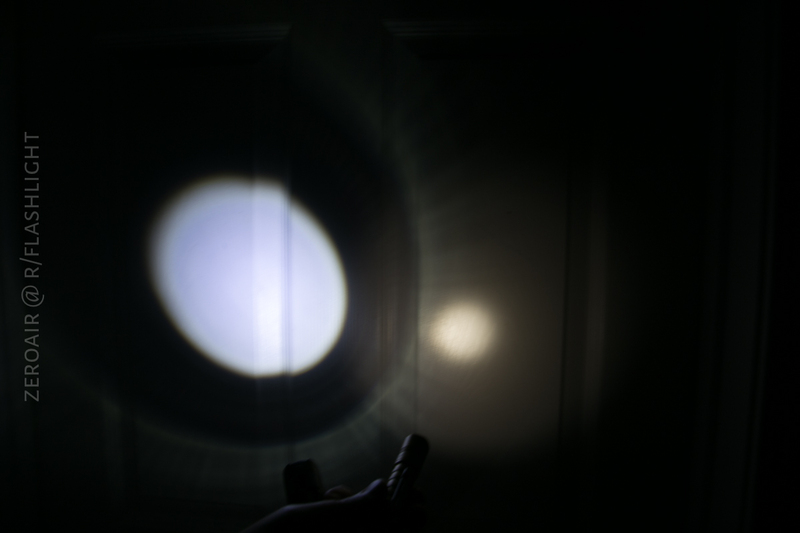 Here’s a photo album, a runtime, and some beamshots. I received two boxes taped together – the amazon listing is two lights for the price…. Unfortunately the build quality on this light is fairly low. The light rattles no matter how well you tighten things – the zoom head is always a little loose. The anodizing is a very cheap kind and looks low quality. The knurling on the body and head are my favorite kind of knurling, which is “diamond pattern” but with a flattened head. The knurling on this light doesn’t give much grip whatsoever, though. There are plastic parts in the tailcap, and the switch does not look user serviceable, either. 94mm (or 101mm) x 26.5mm. 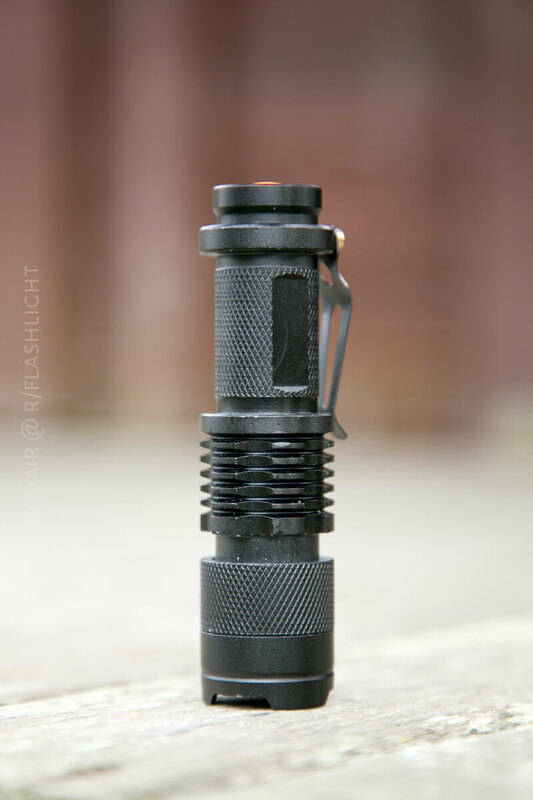 For an AA light, it’s not all that small. But for a zoomy? Probably pretty average. There’s a screwed on pocket clip. It’s thin metal but of reasonable quality. However the clip pants to the “fins” part of the body of the light, which will be bad for pants pockets and the like. The clip is held in place by what looks to be Torx screws. No other means of retaining this light is included. 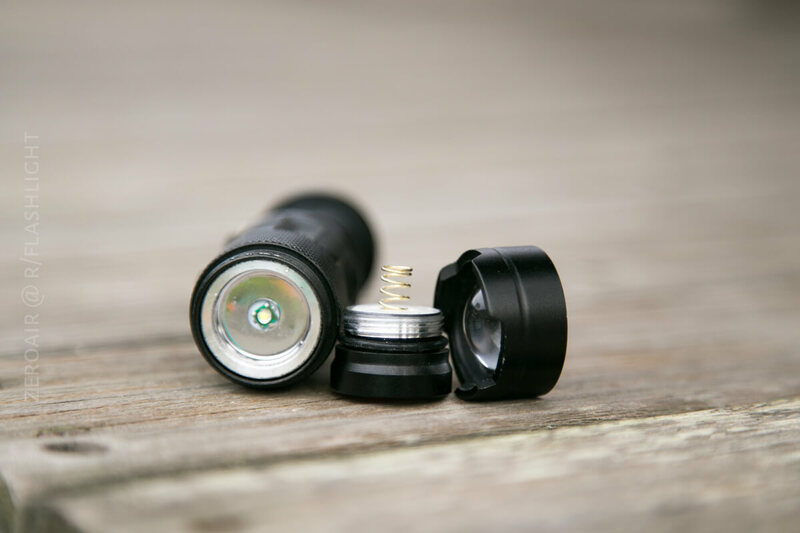 This zoomy light can use either an AA cell (Alkaline or NiMH) or a 14500 Li-ion. I used it primarily with Eneloop, but I tested it with 14500 as well. The runtime below was performed with an Eneloop. I stopped the runtime because I do not know if the light has low voltage protection. The cell was at 1.2V when I terminated the test. 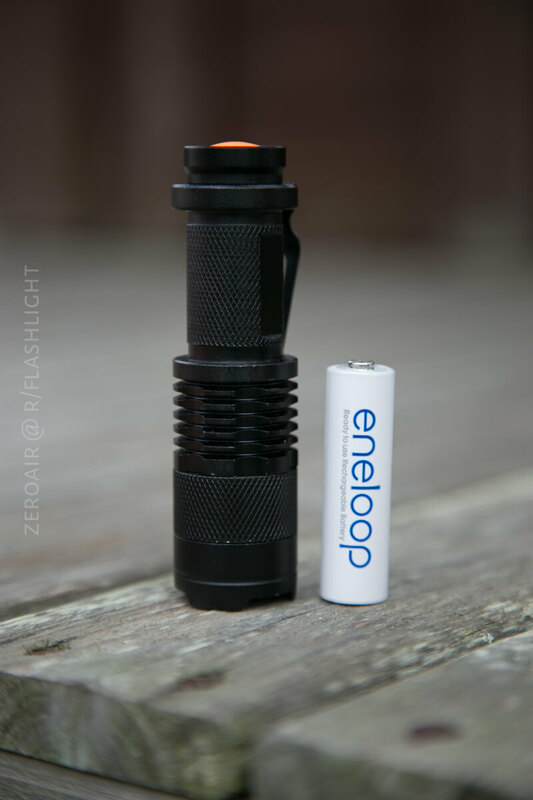 I’ve had Eneloops go much lower, but at this point the light had stepped down anyway. One primary AA is included with the package. It seems to be of low quality. There’s a single mechanical clicky on the tail end of the light. The zoom works by sliding the head of the light away from the body. This action requires two hands, but works like all zoomy lights, so it’s acceptable. The UI is simple. Click for High. Half press to change the modes. There are three modes: High, Low, Strobe. There are no hidden modes. The zoom works in any mode, by sliding the head out from the body. 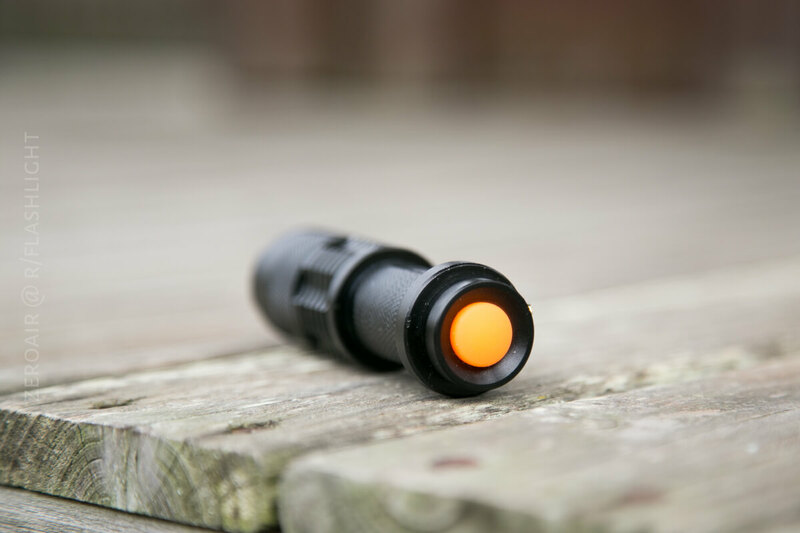 I’ll give points to the light because I really like the orange clicky – It’s very orange and … I like that. However the clicky does not seem to be serviceable, and there are actual plastic parts in the tailcap. LTE says this is a CREE Q5 emitter. I believe that refers to a Cree XR-E Q5, but I’m not entirely sure. I’m also not sure that this is a genuine XR-E Q5, if that’s even what it’s supposed to be. I can say that it’s a very small die emitter. 1mm x 1mm (roughly). The [approximately] spherical lens that is used to focus the light is plastic, and can scratch easily. It is fairly well hidden behind the crenelated bezel, but it will definitely see some wear, and probably not age well at all. Any other zoomie like this would compare. These lights are all the same. Cheap and replaceable, and disappointing. *The throw in this case is a projection of the emitter, which is …. I mean it’s throw but? I have another light by this brand-a flood light. And I have al the much more interesting Thrunite Neutron 2C, which is a very interesting light indeed! 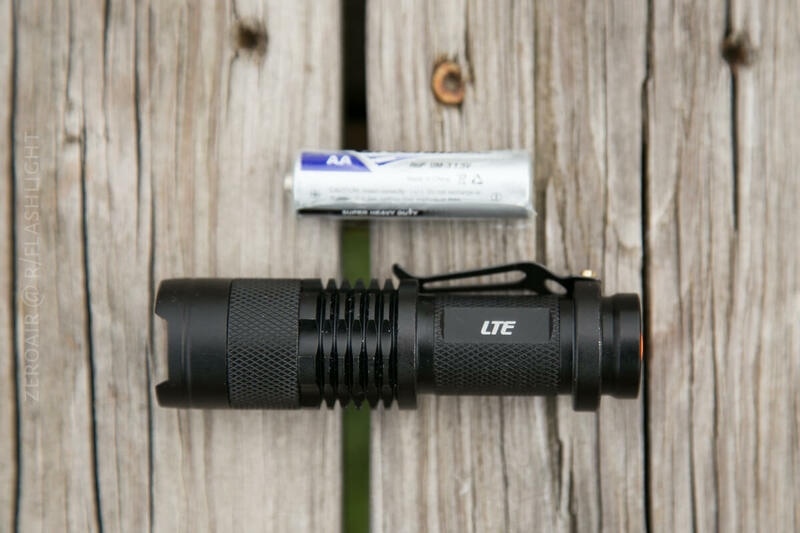 This light was provided by LTE Tactical for review. I was not paid to write this review. Whether or not I have a coupon for this light, I do have a bunch of coupons!! Have a look at my spreadsheet for those coupons.